North America has two Red Rivers, North and South. Red River South has been home to many peoples; it once was the border between the US and colonial Spain, and today forms part of the border between the rival states of Texas and Oklahoma. Red River North forms in a confluence of rivers in North Dakota and Minnesota, but its history is Canada’s. The Red River North’s early settlers were the Métis, whose ancestry was French and aboriginal Canadian. The Métis in 1869 began an uprising known as the Red River Rebellion, which challenged the Canadian government, eventually leading to the formation of the province of Manitoba. SOLID PERFECT-SURFACE COPPER (PSC) CONDUCTORS: Perfect-Surface Copper has an astonishingly smooth and pure surface. Proprietary metal-processing technology protects the wire’s surface at every stage of drawing and fabrication. When high-purity low-oxide copper is kept as soft, pure and smooth as possible, it becomes a wonderfully low-distortion conductor. For over 30 years AudioQuest has pioneered the use of superior metals; yet even we were surprised by this huge leap in performance. PSC clearly outperforms previous AQ metals that cost over ten times as much. Electrical and magnetic interaction between strands in a conventional cable is the greatest source of distortion, often causing a somewhat dirty, harsh sound. 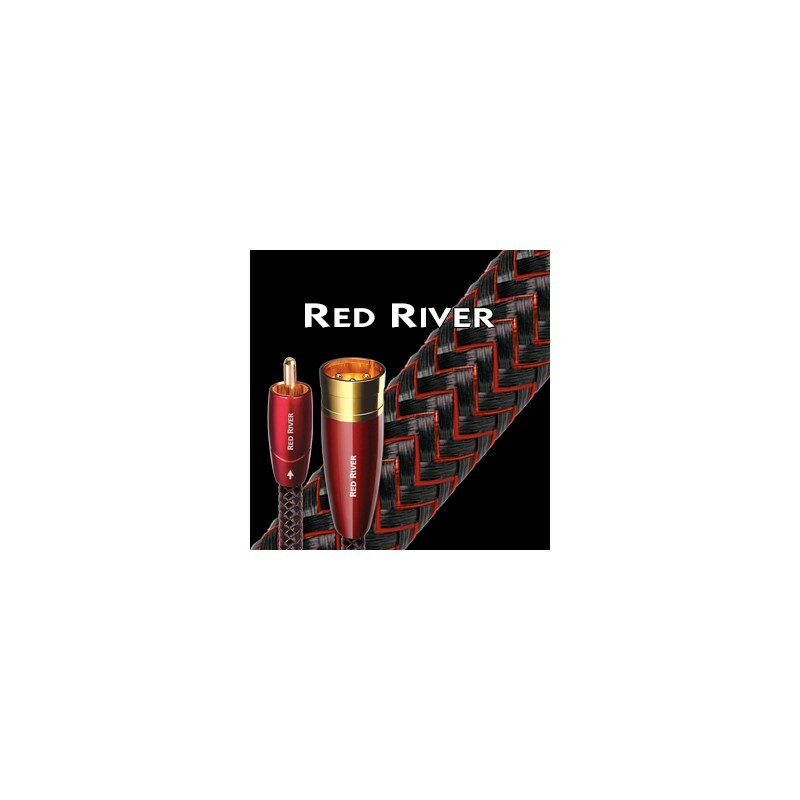 Solid conductors are fundamental toward achieving Red River’s very clean sound. NITROGEN-INJECTED HARD-CELL FOAM INSULATION: Nitrogen-Injected Hard-Cell Foam insulation is used exclusively in most of AudioQuest’s video and digital audio cables. Similar to Foamed-PE, it is nitrogen-injected to create air pockets. ‘Hard’ foam is used because the stiffness of the material allows the conductors in the cable to maintain the same relationship with each other along the full length of the cable, thus ensuring that the characteristic impedance of the cable is consistent. METAL-LAYER NOISE-DISSIPATION SYSTEM (NDS): 100% shield coverage is easy. Preventing captured RF Interference from modulating the equipment’s ground reference requires AQ’s Noise-Dissipation System. Noise-Dissipation System prevents a significant amount of RFI from reaching the equipment’s ground plane. 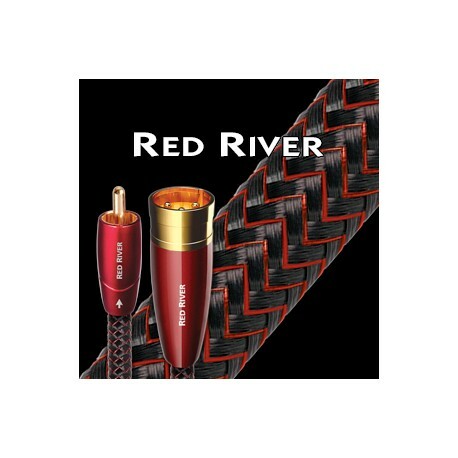 TRIPLE-BALANCED GEOMETRY: The three conductors in “Triple-Balanced” Mackenzie cables ensure that whether prepared with RCA or XLR plugs, the positive and negative signals have equally low-distortion conducting paths. The 100% coverage shield is never used as an inferior conductor. 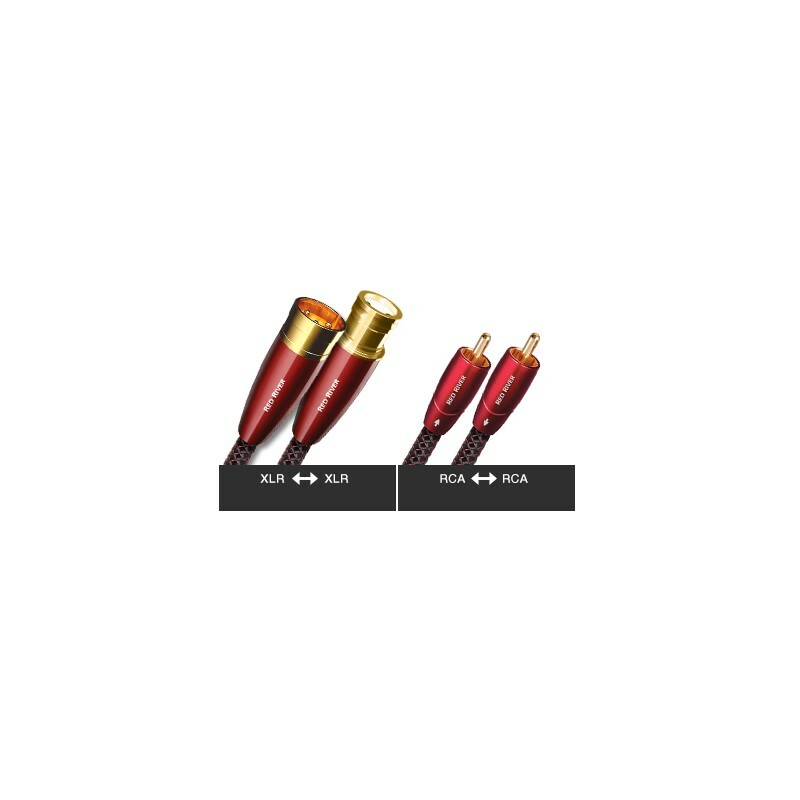 COLD-WELDED, GOLD-PLATED TERMINATIONS: This plug design allows for a connection devoid of solder, which is a common source of distortion. Because the ground shells are stamped instead of machined, the metal can be chosen for low distortion instead of machinability.